September 11, 2018 4:53 pm. 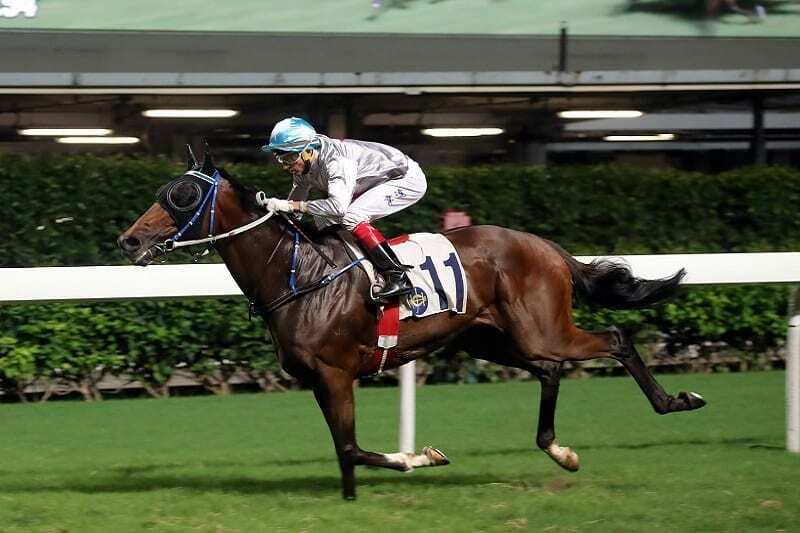 The Hong Kong career of Limitless has been defined by his many quirks and tricks as much as his talent, but jockey Douglas Whyte believes that a late-season victory last term has the Caspar Fownes-trained galloper ready to return an improved horse in the Class 2 Wah Fu Handicap (1650m) at Happy Valley on Wednesday night (12 September). Limitless arrived in Hong Kong with a lofty reputation as the winner of three in England, including the Britannia Handicap at Royal Ascot, from five starts. The son of Lope De Vega, who raced as Defrocked in the UK, demonstrated his ability in that win – but, as Whyte says, it was also a portent of things to come with his manners. “Even when he won the Britannia, he went left and right and so he’s obviously had a few issues all along,” Whyte said at Sha Tin on Tuesday morning (11 September). Limitless arrived as a potential Derby horse in Hong Kong and, after a stellar last-to-first victory in February, 2017, snared a spot in the four-year-old classic. However, he missed the start, overraced and became unbalanced, finishing second-last. In his next 12 starts after the Derby, he only finished in the placings once, with his penchant for fighting the rider costing him dearly. Nevertheless, Whyte was able to relax Limitless under him at his last start over the Happy Valley 1650m in July with the bay relishing a fairly solid tempo. While he still did minor things wrong, it was not the headstrong Limitless of old and the gelding sprinted sharply to score by a length and three quarters. “I think it’s down to a lot of timing and patience,” Whyte said. “There’s no doubt he’s been a real difficult horse, a headcase, but I think – I’m hoping anyway – that the penny’s dropped. He’s starting to understand what racing is all about and what’s necessary of him to win races and to put his best foot forward. Limitless (128lb) will jump from gate eight in the 12-horse field. Another son of Lope De Vega who has proven his own worst enemy at times is the Richard Gibson-trained Litterateur (128lb). The six-year-old, however, proved consistent towards the end of last season with two wins and five placings at his last seven starts, and jockey Neil Callan goes to Happy Valley hoping that he might be ready to take another step forward. “He’s been a little bit quirky, no doubt, but he clicked last season,” Callan said. “He won his couple of races and then held his form quite well, so obviously something’s switched on with him. He’s racing that bit more tractable, but I think the key to him is that he gets a more solid pace than a sit-sprint to be able to see him at his best. The nightcap also features the likes of Sichuan Dar (133lb), Turin Redstar (124lb), Winning Faith (122lb) and Circuit Glory (119lb), while Group 1 winner Helene Charisma (121lb) makes his return having spent time at Conghua Racecourse over the summer. The Wah Fu Handicap will close the card at 10.50pm, with the opener, the Class 5 Cheung Hong Handicap (1800m), scheduled for 7.15pm.